Tis the Season for a Holiday Party! 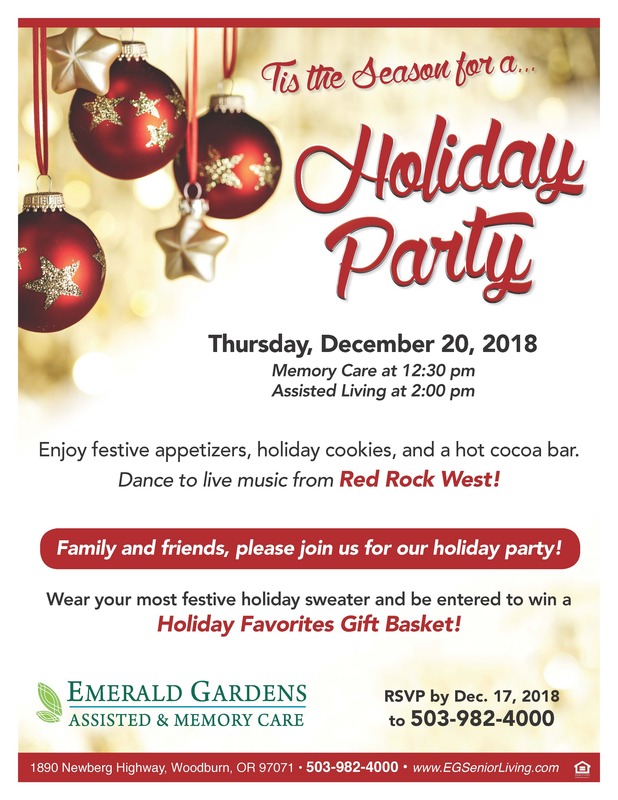 Family and friends, please join us at Emerald Gardens for our holiday party! Wear your most festive holiday sweater and be entered to win a Holiday Favorites Gift Basket! Enjoy festive appetizers, holiday cookies, and a hot cocoa bar. Dance to live music from Red Rock West!